Noah and Emma are extremely popular names for newborns. Every year around Mother’s Day, the Social Security Administration publishes statistics on the popularity of baby names for the previous year, based on their comprehensive records of births in the US. 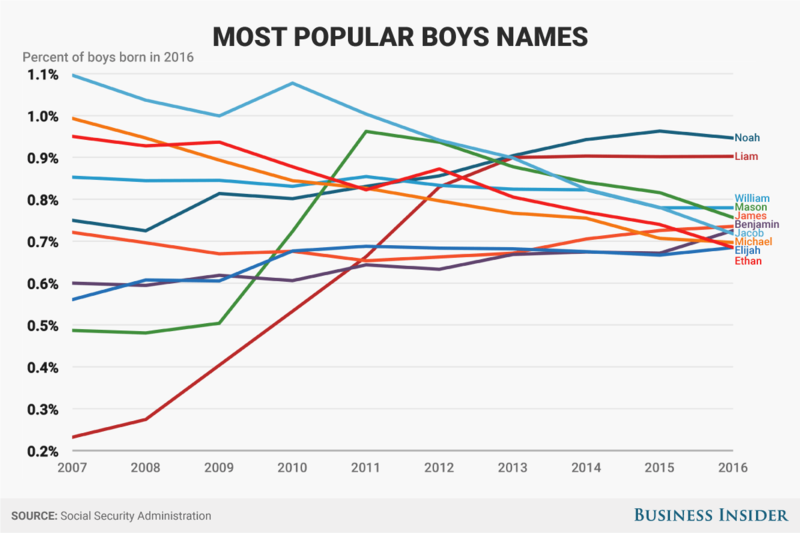 We took a look at how the popularity of the 10 most common boys and girls names in 2016 has changed over the last decade.